The Custard TV: Strictly Come Dancing Full Line-up Revealed. Strictly Come Dancing Full Line-up Revealed. BBC One have confirmed the official line-up for this year's Strictly Come Dancing after the final three celebrities were revealed on tonight's episode of The One Show. Masterchef presenter Gregg Wallace, Bargain Hunt host Tim Wonnacott and Mrs Brown's Boys star Jennifer Gibney were the last names added to this year's list of celebrity dancers. The BBC have been announcing the star names for this year's series for the last few weeks which started with the news that The Saturdays' Frankie Bridge would be appearing on the show. Eastenders actor Jake Wood, Casualty star Sunetra Sarker, singer Pixie Lott, Blue's Simon Webbe and DJ Scott Mills will also be appearing on the show. Rounding up this year's cast are TV presenters Alison Hammond and Caroline Flack, rugby player Thom Evans, host of Deadly 60 Steve Backshall, The Only Way is Essex's Mark Wright and Judy Murray, mother of Wimbledon Champion Andy. 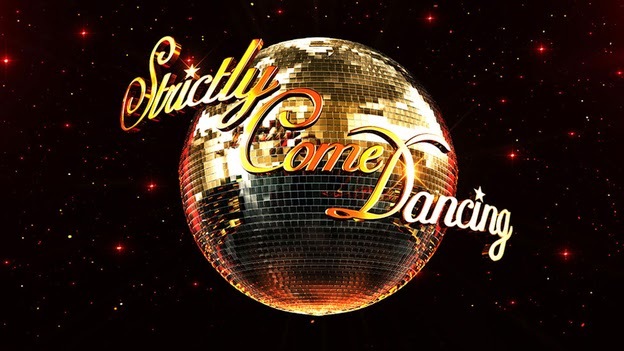 This year's Strictly Come Dancing will once again be hosted by Tess Daly whilst Claudia Winkleman becomes a full-time replacement for the departing Sir Bruce Forsyth. Meanwhile Len Goodman, Darcy Bussell, Craig Revel-Horwood and Bruno Torlioni return as judges. The series will start with a launch show on the 7th September where the celebrities will be paired with their professional partners, the live shows of the series will begin in October.